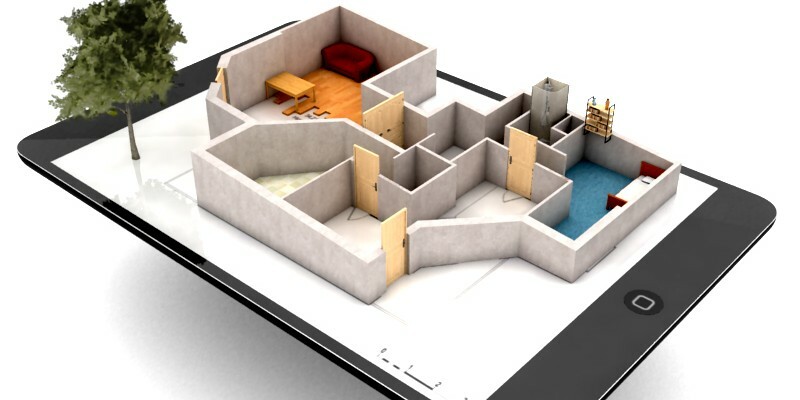 Our New House Design Software for iPad & iPhone updated ! New update for Keyplan 3D. Version 1.0.3 is out ! A direct link to the appStore..
Our House design software got stability and speed usage improvements. We keep working hard to provide you with the best home design app for your iPhone & iPad. You can rate our app for this new version. – House design : creating walls is as easy as drawing a line with a pencil. Any shape is possible with our unique 2D/3D editing features. – Interior design : Place furniture, windows, doors – edit, change, remove, in either the 2D or 3D view. – Decoration : A large selection of paints, brick, wood, ceramic, textile to be used on any object or surface. Expect new free objects on a regular basis. – Many customization options such as wall width and height settings, inch/meter conversion. – iCloud synchronisation to enjoy your project on all your devices, iPhone and iPad. – Sharing : share 2D snapshots and 3D renders of your plan with your friends/family. ← Keyplan 3D on the Appstore !